Ooh, Shirley Jackson. This is some creepy shiz. SO, my experience with Shirley Jackson's work, up until recently, was confined to my reading of "The Lottery" (the one story) in high school and college. Psst, you can read an online version here. Given, it was a GREAT short story, but it was high time I tackled more of her work. I couldn't really settle into anything on Saturday a couple of weeks back, so I grabbed this one at random off my nightstand, and away we went! Mary Katherine Blackwood (Merricat) lives in a big ole house with her sister Constance and her Uncle Julian. There used to be more of the Blackwood family--seven in total--until someone put arsenic in the sugar bowl and took out the rest. Constance stood trial for the murders but was acquitted. Now she cares for Merricat and Julian. One day a long lost cousin shows up, and all hell breaks loose. Told from Merricat's perspective, this is one ominous read. While Merricat is said to be 18 years old, she has an immature way about her, and constantly engages in magical, maybe occulty, things. She buries her relatives' possessions and random household items to protect the house. She chooses specific words for their power and protective nature. She's just different, y'all. It's quickly apparent that the town in this little book is also a character. An antagonist, in fact. Since the murders, what was already an odd family is even odder. Merricat is heckled whenever she makes her bi-weekly trips into town for groceries and errands, and while some of their former family friends still visit for tea, the remaining Blackwoods always feel as if they're on display and being judged. Just wow. Jackson has a really great way of making the abnormal feel everyday. Eerily normal--until something goes wrong and everything starts to spiral downward. I was totally sucked into this little book by the ease and loveliness of Jackson's writing, and the pervasive sense of dread that she creates. These are wonderfully odd characters in a heart-wrenching tale. I read this one in a few hours. I could not put it down! I asked for more Shirley Jackson recommendations on Twitter, and we had a lively discussion. The Haunting of Hill House is a given since it's probably her most famous work. I'm also keen to read a full collection of her short stories, as well as her memoirs since it sounds like Jackson had plenty of her own demons. The green cover at the top of this post is what my book looks like, and while it's wonderfully atmospheric, it seems like it doesn't gel as well with the story as some of the other editions. 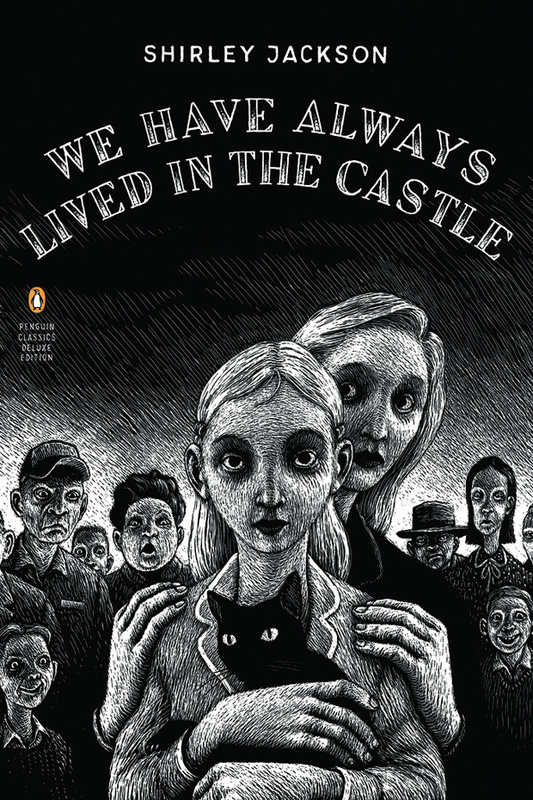 Have you read any of Shirley Jackson's work? What did you think? Can you think of any other authors that remind you of her that you'd like to recommend? I need mooore! Loved this and The Lottery. I still have The Haunting of Hill House TBR. I think she is rather unique as a writer but she shares some elements, the sheer quirkiness of characters, with Angela Carter. Hill House is winging its way to me from The Book Depository as we speak. I would love to hold off on it until the RIP VIII event, but I don't know if I can do it. I just absolutely love her writing. And yes, I can definitely see shades of Jackson in Angela Carter's work. I have a big ole collection of her short stories on my shelves. I may tackle some of those for RIP VIII too. I read this on Halloween a couple of years ago and finished the last chapter or two by candlelight during a power outage. Perfection! The Lottery is such a classic, but I haven't read her other stories. The Haunting of Hill House is on my list for fall. WOW! Talk about atmosphere! That's awesome. I can't wait to get to Hill House and more of her shorts! I loved this book. All that lovely atmosphere and craziness. I listened to the audio and the narrator was perfect. I need to read more Jackson too. I've only read the same ones as you! SUCH lovely atmosphere and craziness. Loved it. And if I ever re-read, I would love to try the audio. OH this book, is right! So very good. It's just so perfect. So lovely. So easy to read and take in, but SO much going on! I loved The Lottery in high school as well. Not sure why I've never read any other Jackson. I own her collection of short stories entitled: The Lottery (shocking). Might need to grab a copy of this and add to my October reading! Definitely add this to your October. It's such a fast read and so lovely and bizarre. How have I not read this one yet? I must. You definitely must! I really think you would adore this one, Carrie. 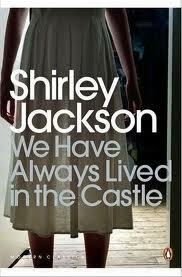 This is the only Shirley Jackson I have read and it scared me enough! The atmosphere is so eerie and as far as the storytelling goes nothing beats the narrative. I have recommended this book to a lot of friends. I still have to read her other books. It was awesome, right?! I'm glad you've recommended it to friends. I will most definitely be doing the same. And I'm so glad you liked The Suicide Shop! And I hope you read this one because I wanna know what you think of it. The writing is just smooth and lovely. You make me want to give Shirley Jackson a try, Andi. I haven't read anything by her. She's super awesome! And so easy to sink into and get lost. The writing is awesome and the book is super quick reading. Wow, I've never read Jackson and you've got me wondering why. She's seriously amazing. Such quick, wonderful reading. Hi there! A quick note to say I nominated you for a blog award - absolutely no pressure to play along but just in case you need blog fodder one day...xoxoxox! Thank youuu!!!! I love the questions you came up with! I've never read Shirley Jackson, but I looooove that last cover. Creepy awesomeness. It is! And I think you would adore this book. I read this one last year and was weirdly compelled to root for Merricat despite the fact that she's all kinds of crazy and not a good person. I've also read The Haunting of Hill House and it's very good too. I rooted for Merricat, too! I thought she was super weird, but I don't think she was bad or evil really. Misguided? Like a child, basically. And I'll definitely check out the song! Yes, yes, yes! I'm totally saving this one for the upcoming R.I.P. challenge (and yes I know it is August but a girl can be prepared, right?). It sounds like an amazing read and I can't wait to get my hands on it! Yay!!! It's a great choice for RIP. And I'm already preparing, too. I have some buddy reads planned and a stack of gothic scaries I can't wait to tackle. YES! It is. You would eat it up. I quite liked this one when I read it. I have read Hill House too and remember that being more diffuse and dreamy, less concrete. could be wrong but hope you like it! 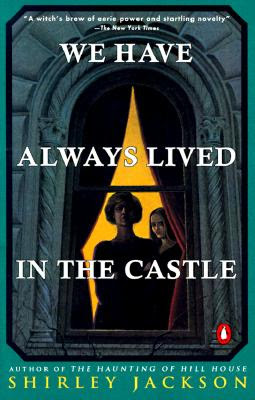 The Haunting of Hill House is definitely her strongest novel apart from this one (in my opinion). I'm also very partial to The Sundial -- it's this creepy story about an old aunt who has a vision that the world's going to end, and only the people who are inside this one house are going to survive it. So the whole book's about all the people in that house and how they prepare for the world possibly ending. Totally creepy and funny and great. Damn - I need to go find out if I have this one right now. I think I just might! This is the first (and only) thing I read by Shirley Jackson. I definitely have The Haunting of Hill House (but I wonder if that would be TOO scary for me) and The Lottery on the list though! I very much enjoyed this one. I too have only read "The Lottery" and it is strange to me that I haven't really thought of reading any of her other work until now. Short stories can be such a wonderful way of trying out an author. And I teach short stories every year (it's almost always the first unit). Maybe it's a good way of branching out and trying to discover new writers! I read this during last year's October Dewey Read-a-thon. It was the perfect creepy, quick read. This is the only Jackson book I've read and while I liked it, I felt oddly disconnected from it. I'm not sure why. I'd like to read some of her other stories though! I adore Shirley Jackson! This was the first I read by her, and I also love Haunting of Hill House, but my favourites are her memoirs Life Among the Savages and Raising Demons, which are so different from the tone here - hilarious domestic memoir instead of disturbing domestic angst! Penguin are reprinting some of her earlier books too, which is exciting. I'm popping a link to this review in my post today, if that's ok!